Mark Lawrence is married with four children, one of whom is severely disabled. His day job is as a research scientist focused on various rather intractable problems in the field of artificial intelligence. He has held secret level clearance with both US and UK governments. At one point he was qualified to say ‘this isn’t rocket science … oh wait, it actually is’. Between work and caring for his disabled child, Mark spends his time writing, playing computer games, tending an allotment, brewing beer, and avoiding DIY. Find out more at Mark Lawrence’s website. 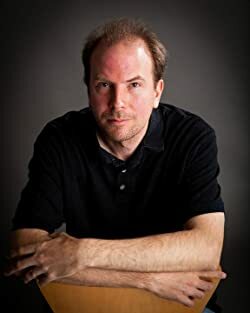 Read interviews with Mark Lawrence at Civilian Reader, Fantasy Faction, and Pat’s Fantasy Hotlist. Click here for more stories by Mark Lawrence. When I find myself laughing on a regular basis while reading a book that is usually a really good sign that I am enjoying it! 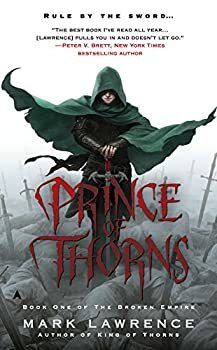 King of Thorns, the follow up to Prince of Thorns by Mark Lawrence, had me laughing — a lot! 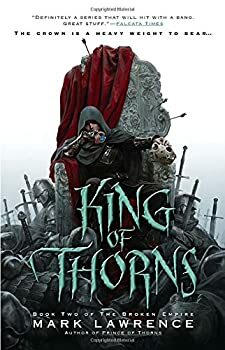 King of Thorns is not a fun and games fantasy romp by any means, but the humor just made a good book even better. Honorious Jorg Ancraft is tired of being manipulated and told what he can and can’t do. In his world there are a number of shadowy powerful competitors for control who are manipulating events and people through magic and other unsavory means. They are willing to do some terrible things to achieve their ends. Jorg’s family has been slaughtered, his friends have been hurt, and his life has been threatened repeatedly. This has given him boundless motivation to control his fate, no matter the price. 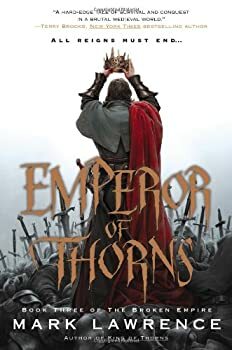 King Jorg, at the ripe ol’ age of 20, rules over seven nations, but that’s not enough — it’s never enough. He’s now ready to make his bid for emperor of the Broken Empire which has been vacant for many generations. This is a position that is technically won by vote, but how one goes about getting those votes is the trick. Also Jorg hasn’t yet accomplished his life-goal; bloody vengeance against his father. All Jorg’s surviving enemies continue to dog his trail but now Jorg has a chink in his armor; his queen and unborn child. Prince Jalan Kendeth is the black sheep of the family. A self-confessed untrustworthy scoundrel and coward who has taken every advantage of the life of luxury that comes with being royalty, he is perfectly content with his life as it is and has no plans to change or inclination for greater things. However, when he crosses paths with a courageous Viking named Snorri, Jal discovers that he may have been destined to stand against an undead evil. Snorri is returning north to rescue his family and, despite his unwillingness, Jal is bound by mystic forces to accompany him. 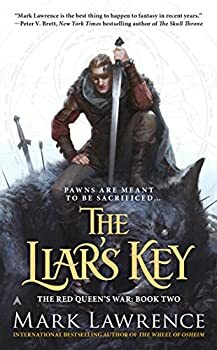 For better or for worse, The Liar’s Key (2015) — the second novel in Mark Lawrence’s RED QUEEN’S WAR series — is in large part just a second helping of the first book. 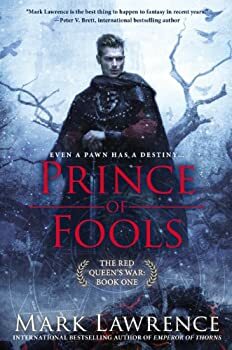 Readers who enjoyed Prince of Fools will probably find a lot to enjoy this time around as well. Those who might be reading this review in the hopes that I’ll tell them that this one is so much better will probably be disappointed. There were times during the course of the trilogy when I really found myself wondering where THE RED QUEEN'S WAR was going. There were certainly elements that I was sure would get resolution — the ongoing specter of magical doom and the titular monarch's conflict with the Lady Blue being prominent amongst them — but I admit that I wondered whether the plot would coalesce around these elements or whether it would simply dangle from them. I'm happy to say that my fears were totally unwarranted. 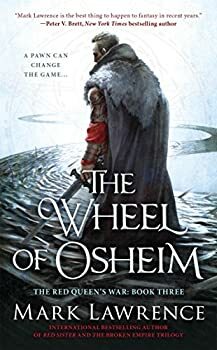 The Wheel of Osheim (2016) is not only the best book in the trilogy, it's probably my favorite Mark Lawrence novel to date. It's clever, funny, expertly crafted, and even exceeds its predecessors to demonstrate an elegant plot as well. 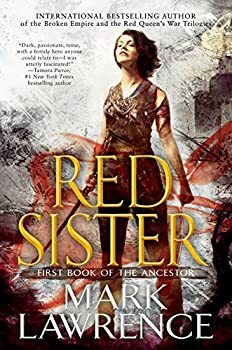 Red Sister: Magic nuns. Need we say more? 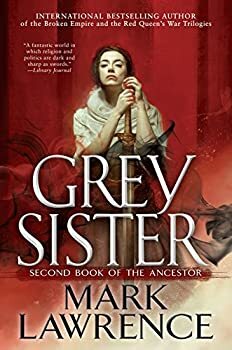 Grey Sister, second novel in Mark Lawrence's BOOK OF THE ANCESTOR series, is a good follow-up to its predecessor. It's not a perfect novel, but on the whole it's exciting, well-written, and very gripping. 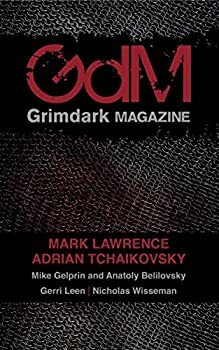 Grimdark Magazine seeks to fill a gap in the niche market for those who enjoy “grim stories told in a dark world by morally ambiguous protagonists,” according to the editorial in the first quarterly issue. The first issue is promising, if somewhat opaque to one who is not already immersed in this relatively new subgenre.